Date based on the earliest and latest dates of the Lindquist collection. 4 5/8 x 6 1/2 in. 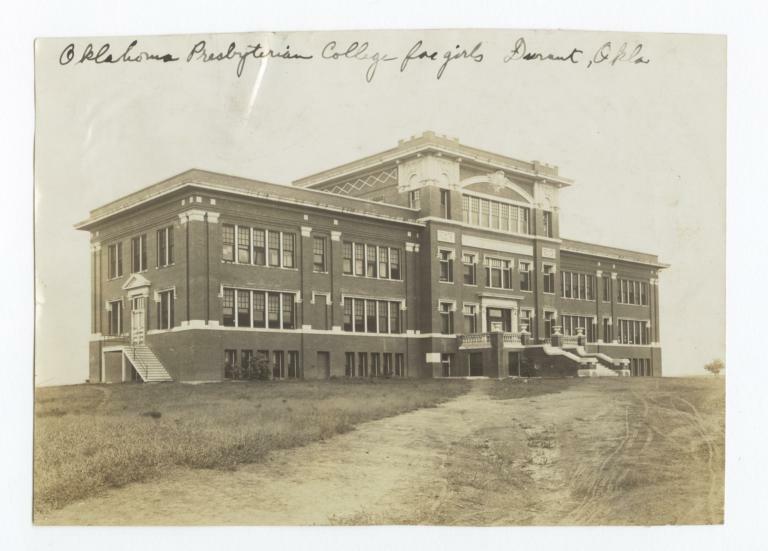 Oklahoma Presbyterian College for girls Durant, Okla.
Oklahoma Presbyterian College for Girls, Durant, Oklahoma, MRL 10: G.E.E. 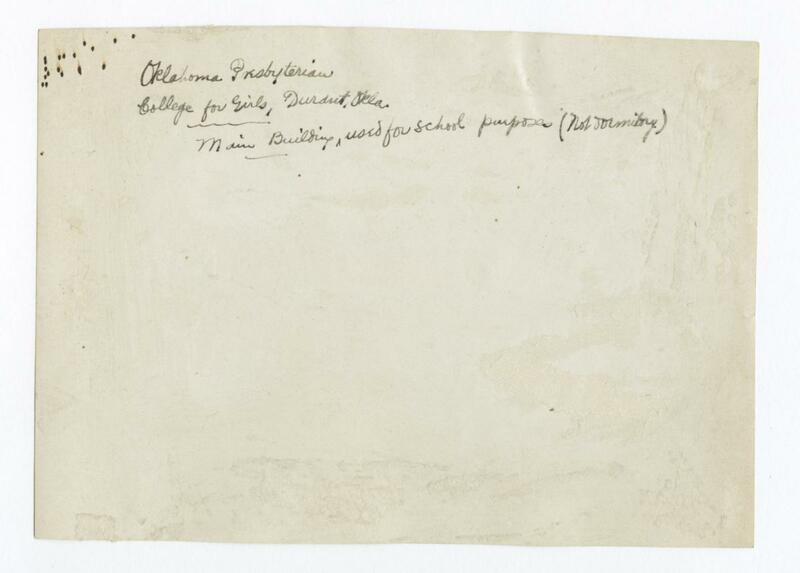 Lindquist Papers, 55, 1160, The Burke Library Archives (Columbia University Libraries) at Union Theological Seminary, New York. 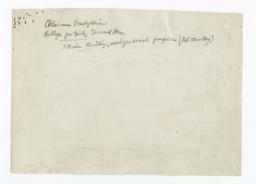 Can be viewed at http://lindquist.cul.columbia.edu:443/catalog/burke_lindq_055_1160. Web accessed 23 Apr 2019.